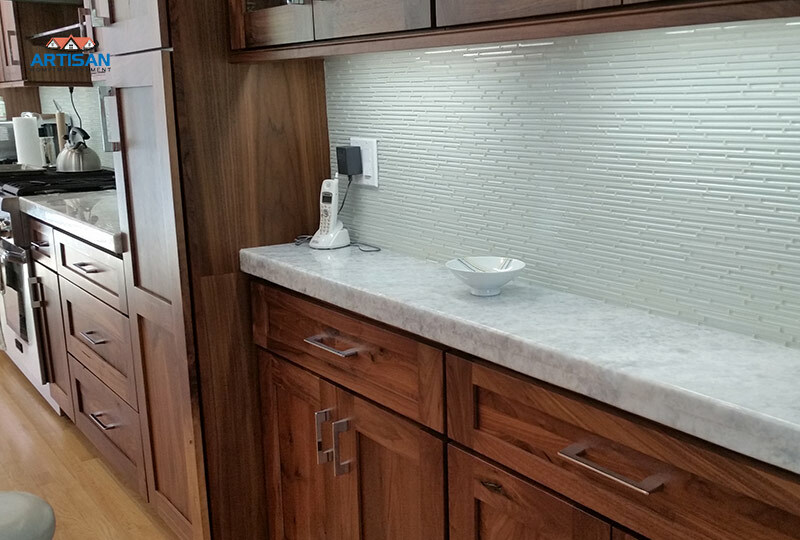 If you are considering a full remodel, or even just the countertops, you should contact us, Our designer and stone specialist Raul will show up for a free estimate. With over 15 years of experience and an outstanding record of customer service, Raul will understand your needs and will walk you thru the whole process and worry free. 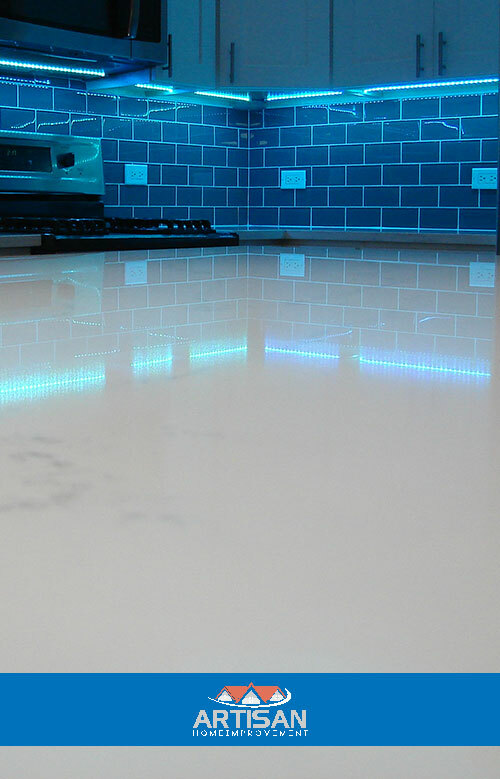 Our prices are unbeatable but most of all our way to deliver is not matchable by any other company in the stone business. Our turn around is one week after the measure and final design was completed. 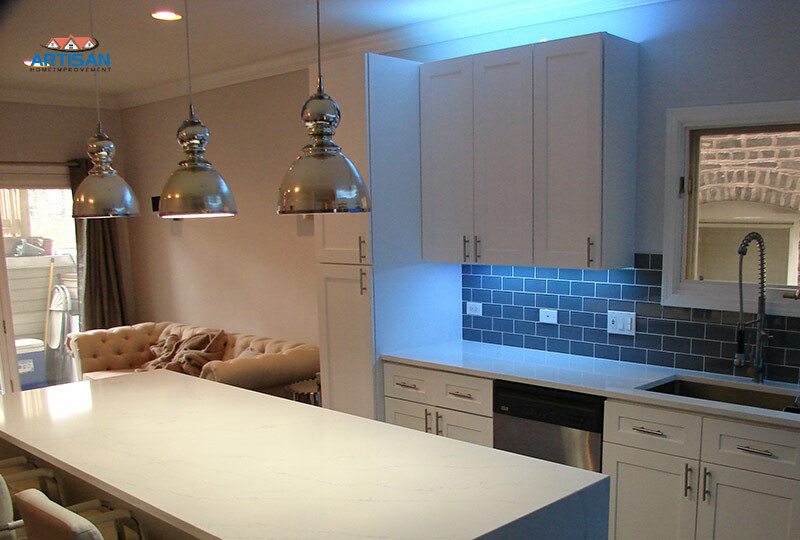 We are lucky to have on board one the best guy in the countertop business in Chicago, Raul will provide his assistance in designing and picking the right material and color for your needs. Raul and his crew at Artisan Home Improvement were fantastic. 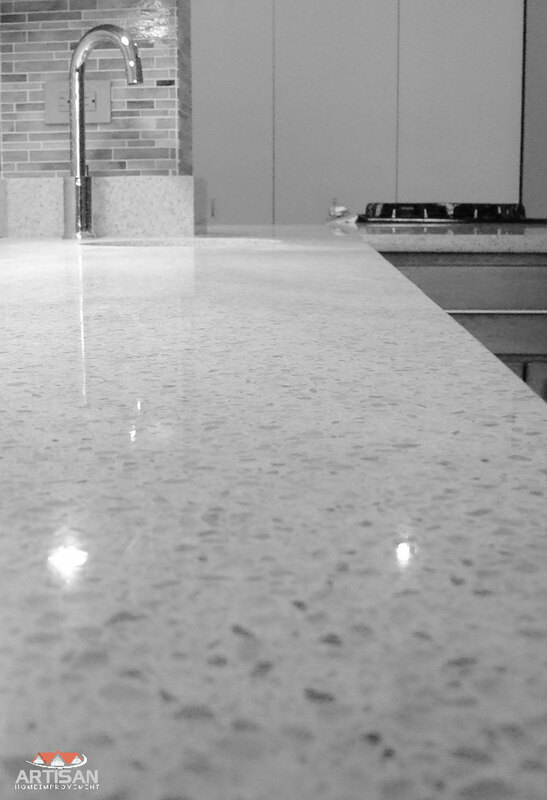 They fabricated and installed new quartz kitchen and bathroom countertops for my condo. Raul was communicative and honest throughout the process. 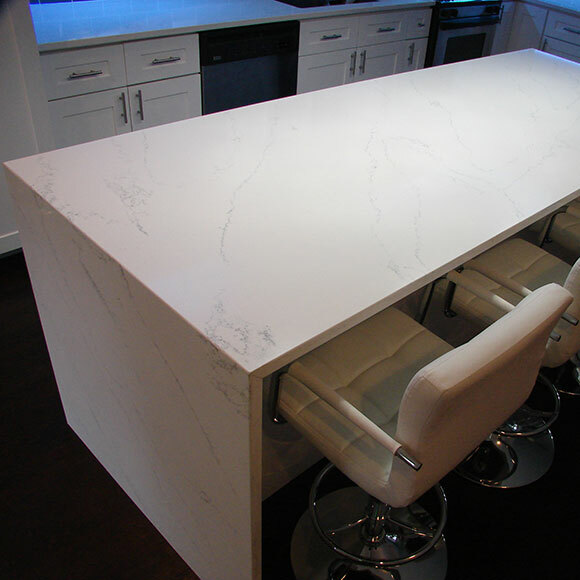 He provided me with cost-savings options for the quartz, both with different brands and fitting what most fabricators said would take two slabs into just one, saving me a good chunk of change. Raul and his team showed up on time for the initial measurement appointment and for installation, which they were able to fit in on the day I needed based on my work schedule. The only hiccup was that the backsplash pieces were slightly too tight a fit with my mirrors, so they had to recut those pieces and return a couple days later. While they don’t have a fancy showroom, if you know what you’re looking for and want solid work at a reasonable price, I recommend Artisan Home Improvement.